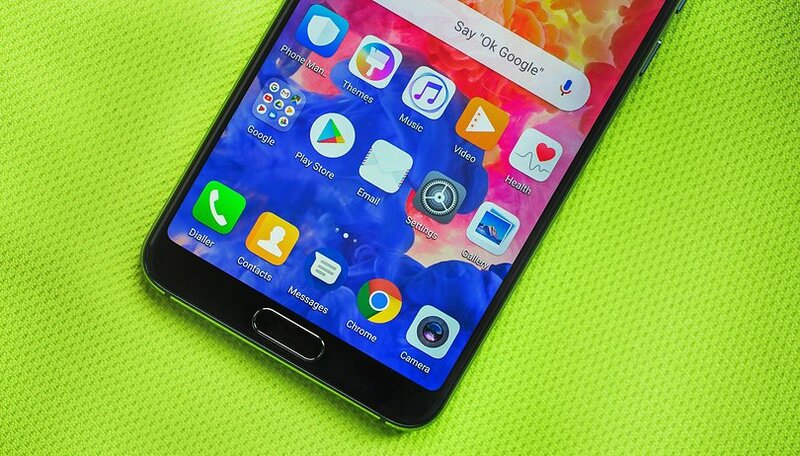 Huawei decided to integrate a large 6.1-inch screen with OLED technology on the P20 Pro. Just like we did for the new Samsung devices, we tested the screen on the Chinese brand’s flagship to see how it works. What kind of display is it? The Huawei P20 Pro is equipped with a 6.1-inch display with a body-to-screen ratio of up to 81.9%. The P20 Pro features what the Chinese manufacturer calls a FullView display, which was introduced last year with the Huawei Mate 10 Pro and features an 18.7:9 format. This is an OLED panel, unlike the TFT IPS panel used on the P20. The resolution, however, is the same on both models: FullHD+, or 1080x2244 pixels resulting in 408 ppi. Huawei has decided against QHD resolution, which to the naked eye isn’t so different from FullHD and would weigh more on battery consumption. 2.5D glass joins the metal frame and protects the display. To better understand the display’s color representation on the Huawei P20, we put it to the test using a tool for color calibration called Spyder 5 Elite. By adding the vectors x and y from the table, the distance between the measured color and the correct color can be calculated. Delta E values indicate the accuracy of the color representation. A low value means the color is more accurately represented. The display of the P20 Pro offers good representation of all colors and good brightness. You can also take a look at the article below, which shows the results reported by the Super AMOLED display from the Samsung Galaxy S9/S9+, which according to the Display Mate portal is the best in the world. The results reported for the two devices are very similar; the main differences are in the Delta E values. But back to the P20 Pro and its screen. The black triangle shown in the graph below is the sRGB color space. The white triangle indicates the color space measured on the P20 Pro. As you can see, it covers the space very well, exceeding the space occupied by the black reference triangle. What does this mean in a nutshell? The P20 Pro's display provides a good representation of all colors, so they are true and accurate. In the second graph you can see that blue pixels come out the most. Whites tend to slightly blue, but don't forget that in the device settings, by going to Display>Color & eye comfort>Color mode & temperature, you can change this parameter manually to your liking. In an OLED display, each pixel has its own lighting independent of the others. Blacks are absolute and contrasts are infinite because black has a brightness of zero. The maximum brightness we measured during our test carried out in the office was 442 nits. In practical use, the Huawei P20 Pro’s screen is pleasantly bright and readable in direct sunlight. The viewing angles are also good. The Always on function is there, but it’s hidden and disabled by default! You’ll find it in the settings menu by going to Settings>Security & privacy>Screen lock & passwords>Always display information (if you search for Always On in the search menu you won’t find it). This Always On function is a bit more basic compared to the LG V30. There are no notifications. You simply see the date, time, and percentage of charge on the off screen. You can program the activation of the Always On function for a specific time period if you don’t want to use it during the whole day. With the Huawei P20 Pro you can watch HD content on Netflix. For our test, we used the DRM Info application that offers Level 1 support for Widevine certification and allows playback of streaming content in high resolution. By activating Natural tone, the P20 Pro automatically adjusts the color temperature in low to ambient light. This is a pleasant function that you can activate by going to Settings>Display>Colors & eye protection. In the section dedicated to the display you’ll also find the option that allows you to deactivate the notch, which can be hidden. This will result in a solid black bar at the top of the display. The implementation of the notch is still good and although it divides the screen in two, it doesn’t limit the display of information (except for Instagram Stories). By clicking on Settings>Display>Screen resolution you can now manually change the screen resolution to either HD+ (1493x720) or FHD+ (2240x1080). The latter is active by default. If you select Smart resolution, the device will automatically reduce the screen resolution to reduce power consumption. Do you think the Huawei P20 Pro can compete with the iPhone X? Who will prevail in this notch war? Overall, I would bet SAMSUNG for the ultimate consumer experience. Those who claim there is no difference between FHD + and QHD have not used both options or have internal anxieties about storing their phones that are understandable with high device prices. ;-) Also, the third-camera tactic is a little ... frightening. If competition makes another major breakthrough in mobile photography, what's next - the fourth camera? This is just one side of the box.